The Lenovo IdeaPad Z510 runs 4th generation of Intel Core i7 processor. It features a 15.6 inch display and comes with up to 16 GB DDR3L RAM. The device also includes Intel Wireless Display Technology that allows to stream content to any other device with a bigger display. The IdeaPad Z510 comes with stereo speakers with Dolby Theatre certification for audio enhancement. The device is priced at Rs. 50,990, and will be available from October. 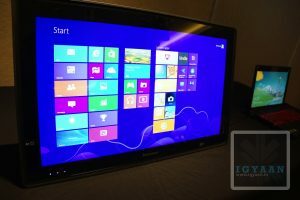 However, the second product was the Lenovo IdeaCentre Horizon 27 which is an all-in-one PC that supports multi-touch and doubles up as a table PC. It features a 27 inch display and runs on 4th generation of Intel Core i7. The device is powered by Nvidia GeForce GT 620M 1GB/2GB graphics with DirectX 11 and sports stereo speakers with Dolby Home Theater V4. The Lenovo IdeaCentre Horizon 27 will be available in India from next week, at a price of Rs. 1,36,500. The Lenovo IdeaPad Y510p features a 15.6 inch full HD LED Glare display. 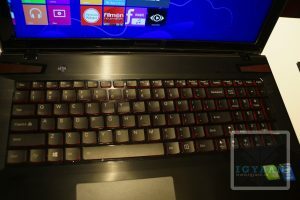 It runs 4th generation of Intel Core i7 processor and is powered by dual NVIDIA GeForce GT 750M 2GB dual graphics with use of Ultrabay technology. The device comes with a 8 GB of RAM and includes a 1 TB of Hard disk. Some other features of this device are backlight enabled accutype keyboard with touchpad, USB 3.0 Port, HDMI output, 720p HD Webcam and Dual Digital Array Microphones. The Lenovo IdeaPad Y510p will be available in India from next week in Black colour, at a price of Rs. 69,990. 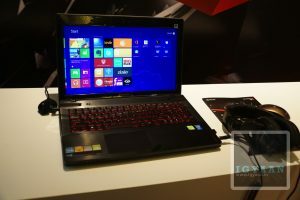 Delhi, September 20, 2013: Lenovo, one of India’s leading PC players, today announced the launch of a new range of feature-rich gaming PCs, powered by Windows 8 and the Intel® Core™ i7 processor. This move signifies Lenovo’s entry into the high potential Gaming space that caters to the Next Gen PC user with products that offer robust performance. 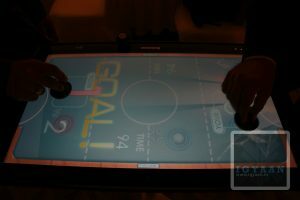 Also part of the new portfolio, the much-awaited, CES award winner, Lenovo IdeaCentre Horizon 27 is the world’s first multi-user, multi-touch, multi-mode table PC with hundreds of pre-loaded games that can be played anywhere at home. This interpersonal device brings families together for a shared computing experience over the solitary computing nature of most other devices. Its USP includes a supersized screen, dynamic graphics and touch screen and it also doubles as a user’s high performance, all-in-one 27-inch desktop. Horizon brings a new perspective to computing – one that makes the experience shared, collaborative and personal. where did you buy it from? now on the website it says 78990!! !